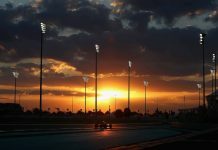 Some questioned Fernando Alonso’s commitment to Formula One and McLaren earlier this year, but Sunday showws that he is possibly more determined than ever to succeed in the sport in which he has been twice a champion. Qualifying in Russia did see him usurped by Jenson Button in the other McLaren but Alonso knew the real work lay on Sunday afternoon. He was calm, smiling and determined. Daniil Kvyat’s demolition derby at turn 2 helped Alonso jump into the top 10 before the end of the first lap. 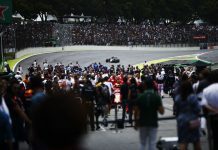 Although he couldn’t keep up with Felipe Massa and Max Verstappen, his pace was more than good enough to pull away from Romain Grojesan’s Haas and the battling Renault duo. Fuel saving has been a problem for the Honda engine all season and so it turned out Alonso hadn’t been able to go at the McLaren’s full potential at all during the race save for one lap. On that lap Alonso posted a 1.41.0; Massa’s Williams did a 1.41.1 for comparison. Why did Alonso suddenly increase his pace for a solitary lap? In his words, ‘I just wanted to have some fun’. It was impossible not to cheer him on to McLaren’s best result of the year so far. Button finished nearly sixteen seconds behind Alonso in the sister McLaren despite having the advantage of starting ahead of him on the grid. A deserving TOP DOG indeed. Next articleSee Renault F1 Team at Silverstone – for FREE! Excited about RUSH? We are!